The impact of the Reading Recovery community has been felt across North America, with more than 2.5 million children in the United States and Canada receiving daily one-to-one lessons since 1984. No other intervention matches the effectiveness of Reading Recovery for students, and the ongoing professional development unites teachers, teacher leaders, and trainers as they strive to meet the individual needs of struggling first graders. For a child having difficulty learning to read and write, timely intervention from a specially trained teacher can make all the difference. Reading Recovery unites teachers, administrators, and parents in a common goal of helping every student achieve literacy success. The Reading Recovery Council of North America is the only organization devoted exclusively to serving and supporting Reading Recovery professionals. We continue to call attention to this valuable work through member solicitations, visibility at regional conferences, the National Conference donation challenge, and other initiatives and events. 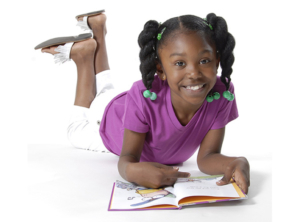 Your gift to the Reading Recovery Fund supports RRCNA’s mission, including advocacy for federal reading policy and adequate school funding, teacher professional development, and early literacy resources. 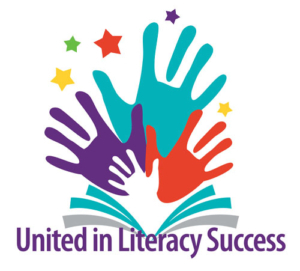 Please make a donation today to support the United in Literacy Success campaign. Your tax-deductible gift will strengthen the united effort to make literacy success a reality for every child. If you include the name of a friend to be notified, RRCNA will send the person listed a letter indicating that a donation has been made in his or her honor. RRCNA also sends an acknowledgment letter to the family when memorial donations are received. Featured at the 2018 National Reading Recovery & K-6 Literacy Conference last February was the donation challenge for the annual fund. Pioneer Valley Books generously provided matching funds up to $15,000 for the 2018 Conference donation challenge. RRCNA is grateful to Pioneer Valley Books for their dedication through Associate Membership, Conference sponsorship and support of Reading Recovery. Donors honor family and friends Remember a friend’s birthday, honor a retirement, celebrate the birth of a grandchild, or just make someone’s day, and consider a donation to the Reading Recovery Fund in their name. Teacher leader Jeanne Lemire finds it especially convenient to use the “Make a Gift” button to make contributions. Being in Germany with the DoDDS school system, she found that packages and letters can take a while to reach their destinations in the United States. Several times in the past when she learned that a friend had lost a loved one, Jeanne expressed her sympathy by making an online gift to the Reading Recovery Fund in memory of the person who died. Thanks to this option she was able to quickly send a personal message to her friends to assure the family that their loved one was remembered. 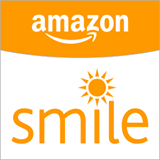 Support RRCNA when you shop Amazon The AmazonSmile Foundation will donate 0.5% of the purchase price from your eligible AmazonSmile purchases. AmazonSmile is a simple and automatic way you can support RRCNA every time you shop Amazon, at no cost to you.